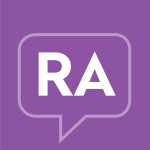 Cost is a major factor in managing a chronic health condition, such as RA. There are many things people do to save money and cut costs, but not everyone is aware of these options. We conducted a survey to better understand what costs patients and caregivers, such as yourself, face and how your health care professionals discuss costs with you. Check out what our community members had to say about cost and what tips they’ve shared!